However, recent studies showed that bald men did have those quiescent cells in their follicles. The problem was that they didn’t divide at all and didn’t contribute to forming new hairs. This means that even a bald person still has the potential to grow new hair, but because of lack of some regulatory factors quiescent cells can’t start replicating. Elaine Fuchs was able to identify these regulatory factors in her study published in Cell. Apparently, it’s all about the transit-amplifying cells that are the progeny of the active stem cells. People thought before that these transit-amplifying cells don’t have particular functions and are simply an intermediate stage between the active stem cells and differentiated tissue. The study showed though that these cells are the main «brain center» of the hair follicle. They are capable of secreting a unique set of factors that stimulate both quiescent and active stem cells to divide. The authors called the main factor Sonic Hedgehog. It is a crucial factor for development of pretty much the majority of the tissues. In the early embryogenesis it is responsible for correct formation of the neural tube that is a precursor to the whole nervous system. At later stages this factor plays a role in formation of the skull and teeth, and regulated forming stem cell reservoirs. Whether the hair will grow of not depends on the presence of transit-amplifying cells that produce Sonic Hedgehog. Therefore, the growth of the new hair has to start with the division of the active stem cells, because transit-amplifying cells originate from them. That’s exactly the problem of bald men, the number of active stem cells is declining with age and they are no longer capable of producing transit-amplifying cells, that’s why new hairs don’t grow. This research can pave the way to developing new approaches to treat baldness. It could be cell therapy with transit-amplifying cells or active stem cells. It can also be simple delivery of Sonic Hedgehog to the zone of hair loss, although it is not clear yet whether delivery of such a potent regulatory factor will be safe. In any case, I think that treatment for baldness is now a matter of quite a short period of time. 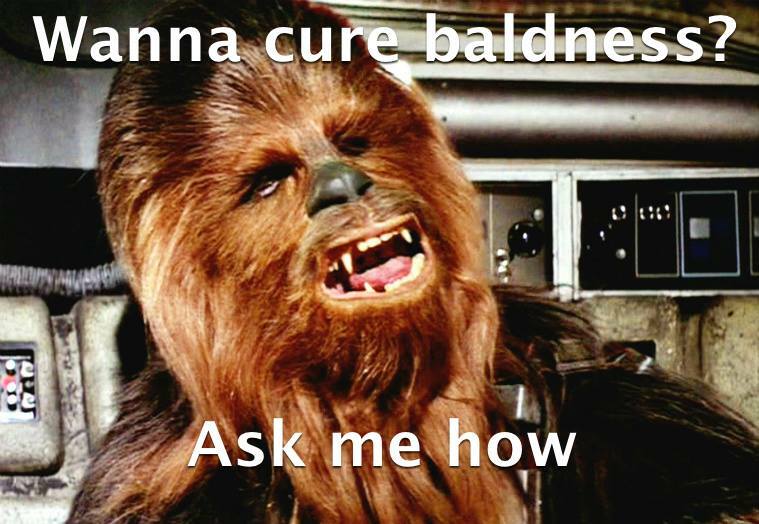 Gosh I hate to be contrary, but I would much prefer a cure for hair. Guess it is the Transhuman in me coming out. Hello friends, please tell me where and how to buy Yuma medicines without a prescription and cheaper than the pharmacy? I have a little problem with health insurance. After reading this i think It will be interesting to study how the beginning of hair growth on babies is related to the main stages of Sonic Hedgehog activation. I have already cured it. It probably links back to DNA methylation and gene expression (epigenetics). In the future we can keep it growing as with our teeth.